My gosh, it has been far too long since we last spoke! There are so many wonderful new discoveries that have come into my life, all of which have given me even greater hope — hope for a better future, a better today and an even better tomorrow. I'm like a badger, digging curiously and furiously into the Earth's dirt, excited at what I might find by just continuing to burrow! 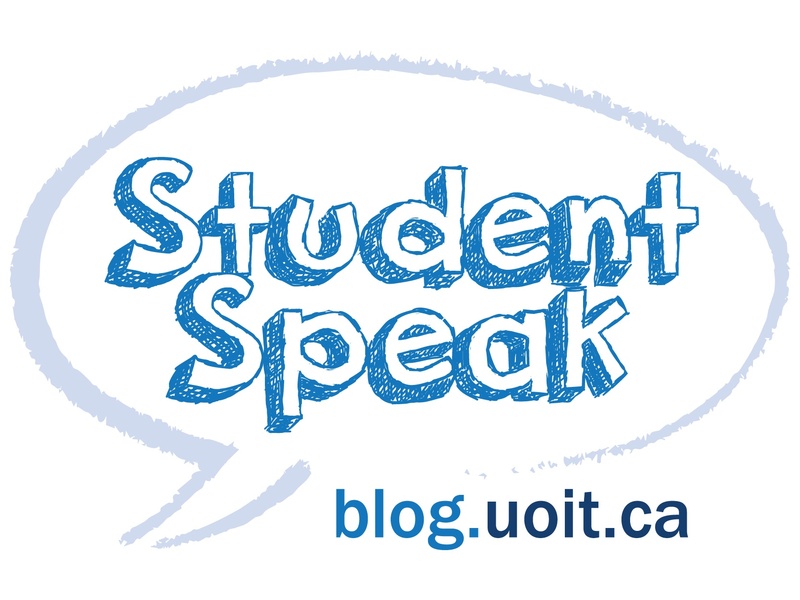 So, I would be happy to answer: What three things would I say to myself before coming to UOIT? Self-reflection can be a key to learning from the past to actively shape your future. Being a full-time student can get busy with schoolwork, employment, volunteering, spending time with your special someone, family, or friends. What is something new that you learned or taught someone today? What is something that you experienced that made you laugh, smile, or feel really good? What is something you'd like to learn more about tomorrow? All these questions can help to remind you which people are important in your life, what can make you happy, and how you can learn from new opportunities that will help define who you are, and who you can become. Have a positive outlook towards creating a schedule that works for you. Make the best possible effort to prioritize and plan study and reading time. Know what's at stake, and make the best possible decisions with the best possible information. Be sure to make time for family and friends to de-stress. The company of others can often help you escape the busyness of your school business, making you feel more relaxed, secure, and free from feeling overwhelmed. Take advantage of the due date timeframes that you have as soon as you become aware of them. That being said, be sure to remember that no matter what happens, tomorrow will come and shine, and so will you! Try not to stress about the things you can and can't control; exercise your potential and opportunity for action to optimally prioritize! Do, be with, and have experiences with people and things that you love, and that love you back. Lean on those who you love, and let those same people lean on you; be one another's strength when times get tough. Learn to love learning all over again. Your life as a student is just beginning, so become a continuous learner. Humour is all around us (e.g. studying and making memorable acronyms with peers, encountering honking Canada geese at the north campus, studying and making acronyms about angry honking geese). What are you waiting for? Discover and unlock it, because laughter can ignite the light in us all. When genuine and natural, a smile can be the most enlightening and connective affirmation of happiness. Smiles can be contagious, and a simple look into the face and eyes of another can make you feel more comfortable, confident and collected. Be sure to give and receive smiles daily — it helps to make happiness stay for a while! Do all that you can to laugh, love, and smile; these are costless ways to live a positive, healthier, and happier lifestyle. 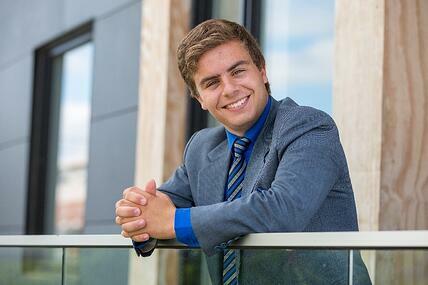 So to you, my fellow first-year students out there, I hope that you, and all other students who read this blog post found enjoyment from my three tips. Please know that you are not alone. 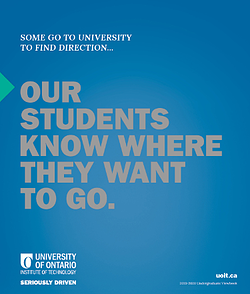 UOIT Student Services has a committed and friendly team of staff members who wish to help you by providing you with above-and-beyond services, guidance, and specific resources so you can be that much closer to achieving your dreams of tomorrow, today! Wishing you all the best of luck in your final exams.